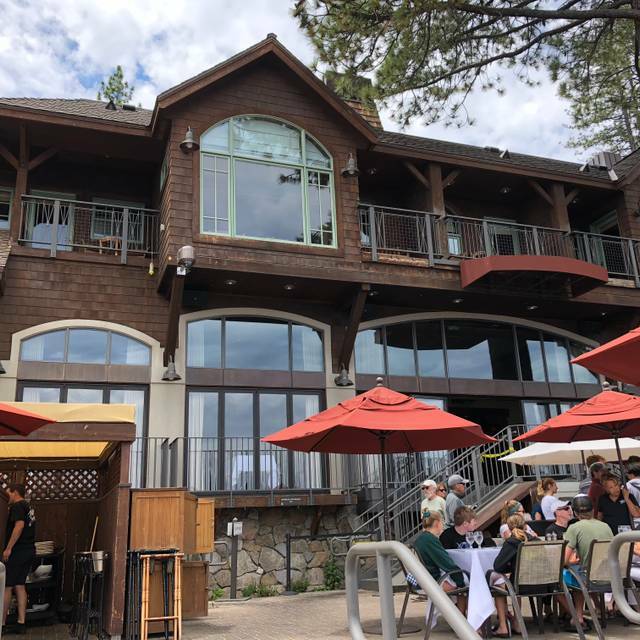 West Shore Cafe offer complimentary car parking, valet parking during summer months, and additional parking at sister property, Homewood Mountain Resort (steps from the restaurant). Those visiting by boat can also enjoy complimentary parking and valet service from our pier. Tahoe Area Regional Transit hosts a shuttle drop-off and pick-up location outside the West Shore Cafe. The West Shore Cafe occasionally hosts live music, featuring local talent. Additionally, the West Shore Cafe hosts special menu items for happy hour, holidays, and festive occasions. Always popular, Local Mondays at West Shore Cafe are a great way to affordably taste the freshest produce, seafood and meats that California has to offer. 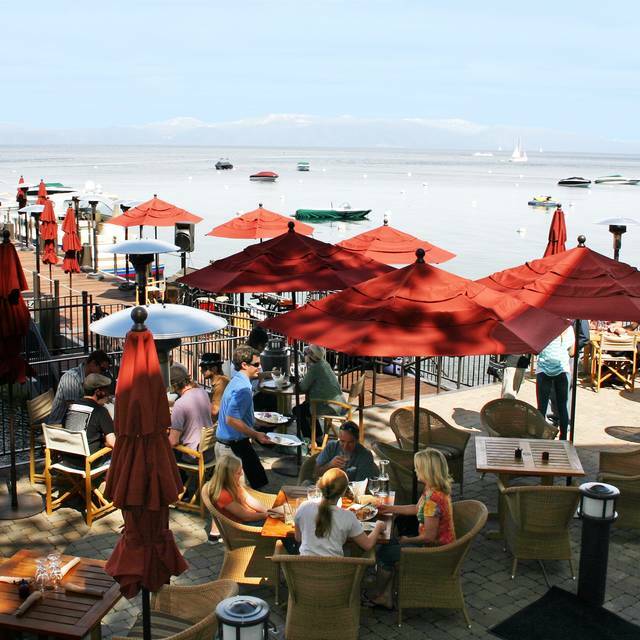 Whether you dine solo while staying in a West Shore vacation property, or invite a group of ten friends that live at the lake, West Shore Café’s menu has options that will satisfy any appetite and will pair perfectly with the Café’s wine list and cocktail menu. 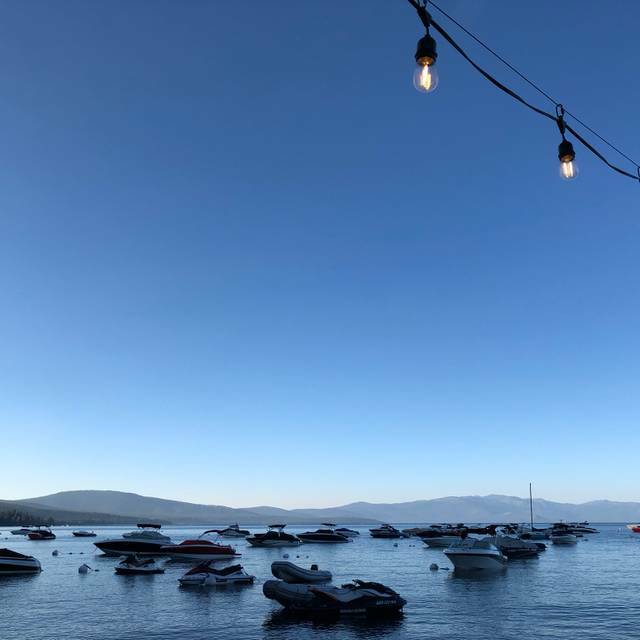 Including various indoor and outdoor private dining space, our venue offers intimate views of Lake Tahoe complimented further by surrounding mountain peaks, striking interior design and an impeccable culinary team. Plan an unforgettable gathering or celebration with us today. Celebrate NYE With Us: Ring in the New Year with the West Shore family as we host a special night of fun highlighted with a NYE Menu crafted by our culinary team. To best celebrate the occasion, we’ll be enjoying live music from Jeff Jones, party favors and champagne toasts. Call to book. 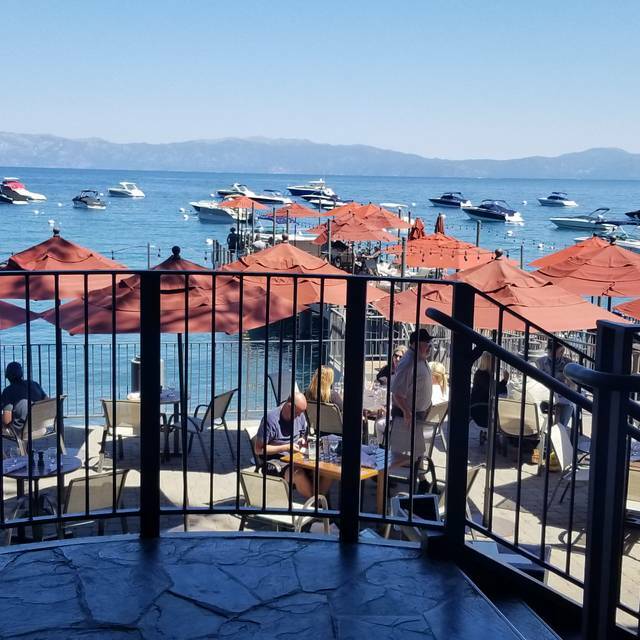 A picturesque lakefront restaurant and inn located at Lake Tahoe's west shore, the West Shore Cafe offers guests delicious cuisine and superb service amidst some of the world's most beautiful surroundings. 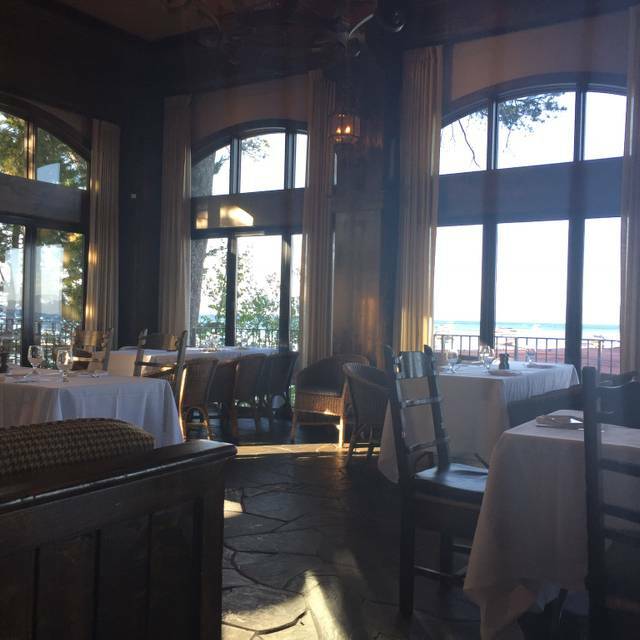 West Shore Cafe offers a festive and romantic lakeview setting with elegant, yet approachable cuisine with a seasonal focus. As a year-round destination, the West Shore Cafe beckons skiers during the winter months and is mere steps from sister property, Homewood Mountain Resort. 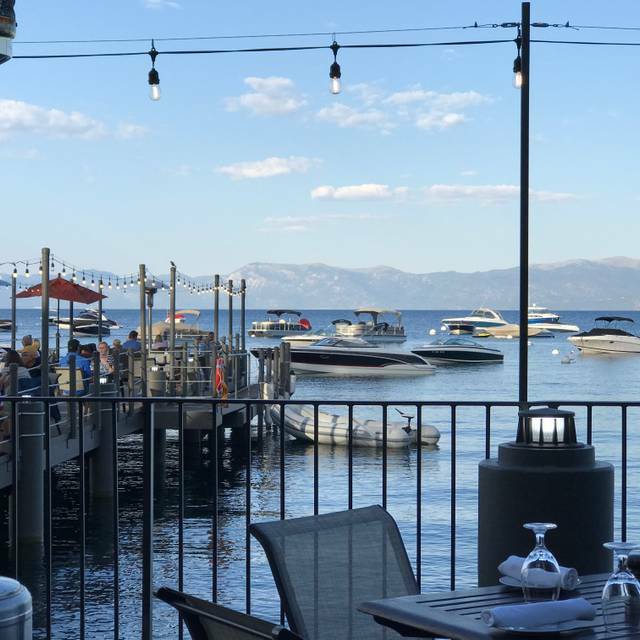 During summer months, the West Shore Cafe's location is ideal for those cruising the bike path, as well as boaters touring Lake Tahoe. West Shore Cafe hosts several buoys, and welcomes boaters and kayakers ashore. Always an excellent meal, well prepared and presented. Ample portions. The waiter, Ryan, was excellent, with dining suggestions. I had Elk Tenderloin and my wife Sea Bass and Muscles. Both excellent. The building is quite lovely, the outside deck and pier have a superb view (Great for dining in the summer). The meals are expensive, or we would dine here more often. Seems like they have raised their prices quite a bit since our last visit. The bar is located in the middle of the dining room, which adds some to the noise level. We will return, but because of the pricing, only for special occassions. Great food, great setting! Beautiful views! Always visit when we are up at the lake. No where near the level of pricing. I had 1/2 price entree email, but was still not impressed. West Shore Cafe never disappoints! The food is creative and delicious. The environment is casual Old Tahoe with a spectacular view, no matter what time of year. 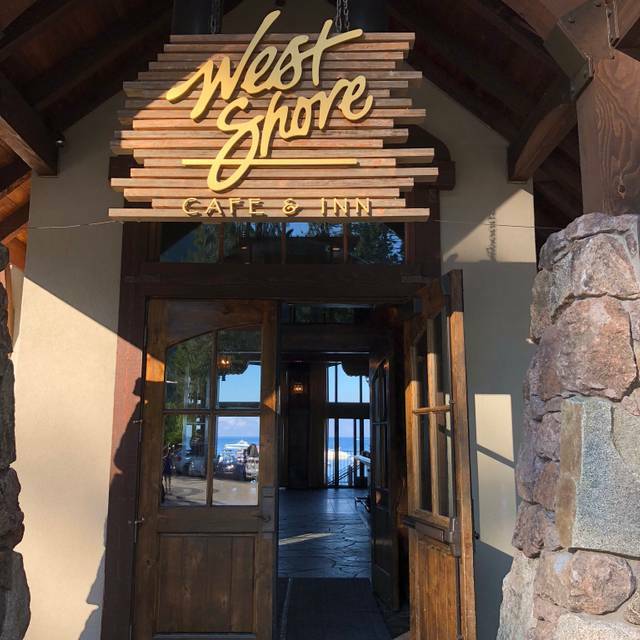 Whether we are in Tahoe for a day or a week, a meal at West Shore Cafe is always required! The food was good. The decor and view are nice. The hostess was terrrible. We checked in 20 minutes prior to our reservation. The hostess told us to go sit at the bar and she would get us when our reservation time came up. When the time came, I had to ask twice to be seated. At this time there were only 2 tables in the entire restaurant occupied. 15 minutes after our reserved time, and the 2nd time I asked if our table was ready, she acted annoyed that I pulled her away from her personal conversation with the male host. She then sat us in the worst table near the entryway, while all the nicer tables sat unoccupied the rest of the night! I see why the other yuppies we’re so snotty with the staff that night! Our waitress was very nice though, and redeemed the experince a little. Hi Shawn, thank you for visiting us for a winter dining experience. We set a high bar for guest services and we're sorry to hear that we didn't quite exceed this standard during your visit. We're pleased to hear that you enjoyed much of our restaurant's offering; location, interior design & setup, our dining room server, and of course the food. We hope this doesn't deter you from visiting us again and we hope to have the opportunity to host you again soon. Great place for valentines. I made a reservation a month in advance and booked a room. Requested a booth but got a table in the middle of the room. Chilly but delicious. Service was friendly and professional. The soup and salad were delicious and well prepared. Half chicken was nice but at $38 on the pricey side. Sunday 1/2 off promotion is appreciated. Recommended especially for the view. Ryan was great. Okay. Nice views. Need to ask so they apply coupon when they send you coupon and talk about coupon to other dinners. Annoying but you have to do it. West Shore Cafe never disappoints! Always great food and impeccable service. Love how the menu is updated seasonally. If you can, order the Chilean Sea Bass in curry stew! YUM!!! And, it came surrounded by a whole bowl full of mussels! Probably the best meal I've ever eaten there (and I've eaten a lot of meals there)! Kudos to this place for drawing out locals on a Monday night with coupons! We had an excellent meal at West Shore Cafe (again). The food was spectacular! Our waiter, Ryan, was very good as well. All in all, another great experience. We had a great experience and meal at West Shore! Beautiful setting! Amazing lakeside location! Great spot for aprés. Calamari was the dish of the night! We got there a little late but they were very accommodating and provided us a table looking out over the lake. The Elk tenderloin was fantastic and cooked to order. The short ribs were very tasty in a stew with root vegetables. The best part was the Pear Gallette and Crème Brulee for desert. The wines were good and the service was top notch. Chef Rob is the best! Food is very good. Amazing views. Nice ambiance. A bit pricey but go when they have specials. The steak was terrible; close to inedible! The seafood dish was quite good! Very mediocre wine list; NOT a Zinfandel at all! Great lakeside dining. Very pleasant atmosphere. We loved the food, it really was expertly prepared and the service was phenomenal. It was worth the wait to find a reservation, this location is often closed for private events so you definitely need a reservation. It really is a lovely place though, and we hope to come back soon. Well done! 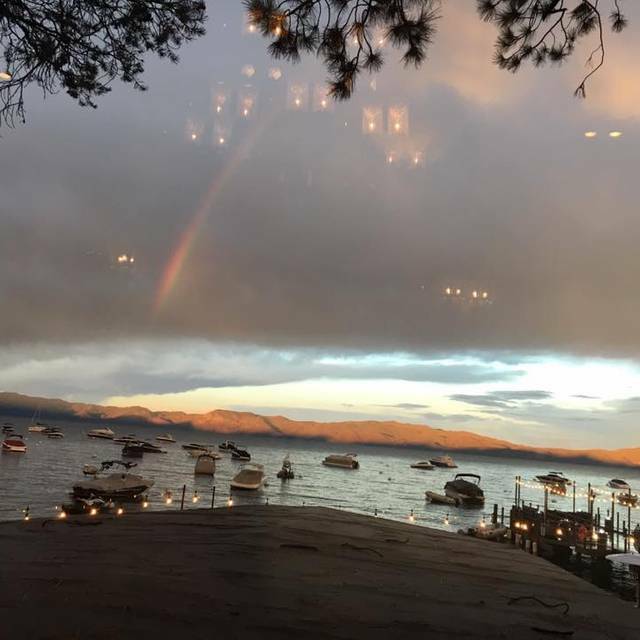 After reading other reviews about the best place to see a sunset in Tahoe I decided to take a chance for our last night of vacation and celebrating my husbands birthday. It did not disappoint. As it turned out we were there on their last night of summer service. Our waiter was wonderful from beginning to end. The food was declared the best we'd eaten during our week in Tahoe and that's high praise from my family. on the pricey side. That said as a celebration dinner it was beyond memorable. Had a great dinner! Sat outside on the patio with heaters. Beautiful sunset over the lake. Food and service was great. Highly recommend. LOVE West Shore Cafe! The food is always fabulous, can't beat the view, even if indoors, and the wait staff is superb! Dinners are magical on the pier, but it's also a great spot for lunch too! My wife and I spent our 40th anniversary dinner there and had a wonderful time. The table next to us were celebrating their 12th anniversary. The views are awesome and the people are friendly. A surprise find on a visit to Lake Tahoe. Arrived on a Fall evening and sat under warm heaters by the lake. Beautiful setting and delicious food considering it's not always easy to find great food in the Mountains. We'd go again. Tip: It's mostly used for weddings Fri-Sunday during summer, so we were lucky to catch them on a Thursday evening with a last minute reservation. A little pricey for a mountain escape to hike, but totally worth it to us as a way to start our trip upon arrive. in Lake Tahoe. Lovely setting, lakeside. Summer and Fall there is outdoor and indoor seating. My husband’s salmon and carrots w sticky rice was delish. I wasn’t overly hungry so enjoyed a Caesar salad w crab cake. Also terrific. Prices consisted w lakeside dining and ambiance. Delicious food, good service and a great view. Shared a Caesar salad and had the steak and also the scallops. All delicious. Prices kind of high this year compared to other close by restaurants. Used to be more reasonable. Love everything about West Shore Café. The view is unbelievable, the food is out of this world! It is worth driving 2 hours for dinner. The food, the wine the view! West Shore Cafe never disappoints for a casual lunch or a date night or special family dinner. A wonderful top off to our two week vacation! The food was delicious and the servers were very attentive and happy. This is a magical setting on the water's edge and a few weeks ago we had a flawless dining experience. The poke appetizer with salmon & scallop entrées were perfectly prepared. We just returned for our anniversary dinner and both ordered salmon at medium temp. We were served overcooked and dry fish that was not appetizing to say the least. Not sure how a chef worth his/her salt would allow that entrée to leave their kitchen! Leaves us wondering about future returns. 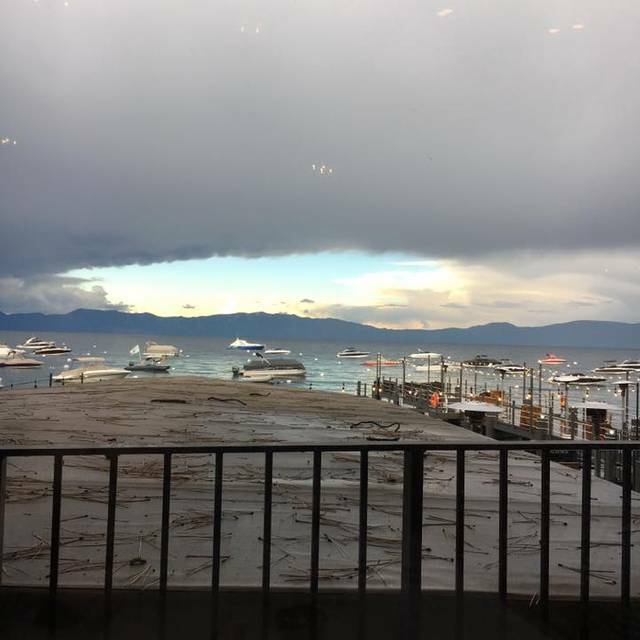 It doesn’t get any better than dining on the deck that extends over Lake Tahoe, simply amazing! Wonderful restaurant, wonderful staff, the ultimate experience! Couldn’t have been happier with our lunch out n the pier. Fabulous food, fabulous service, fabulous view, fabulous Bloody Mary!! Caesar salad was delicious as was my husbands pork chop. We had attended a wedding of about 140 a few weeks ago and had a filet mignon that melted in my mouth. My filet this visit was actually quite chewy and not nearly as juicy and flavorful. The visual is perfect. Right on Lake Tahoe's west side in Homewood. Perfect for outdoor seating. Food was so-so. A glass of just "ok" wine was $14. Chicken sandwich which was on the dry side was either $19 or $21. So it's on the expensive side for just ok food. Picture perfect setting however!